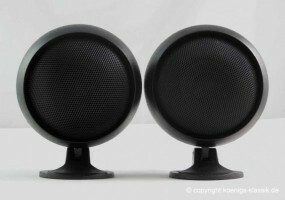 2X NEW LOUDSPEAKER PODS WITH A 4 Ohm OUTPUT. 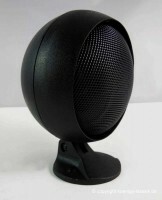 THIS UNIVERSAL SPEAKER POD IS PERFECT FOR CARS AND VANS FROM THE 60s TO 70s. CAN BE MOUNTED ON THE REAR PARCEL SHELF OR IN THE FRONT. SUPPLIED WITH SCREWS TO FIX THE BASE. VERY WELL SUITED TO BLAUPUNKT RADIOS OF THE ERA FOR THAT CONSISTENT FACTORY FITTED LOOK.